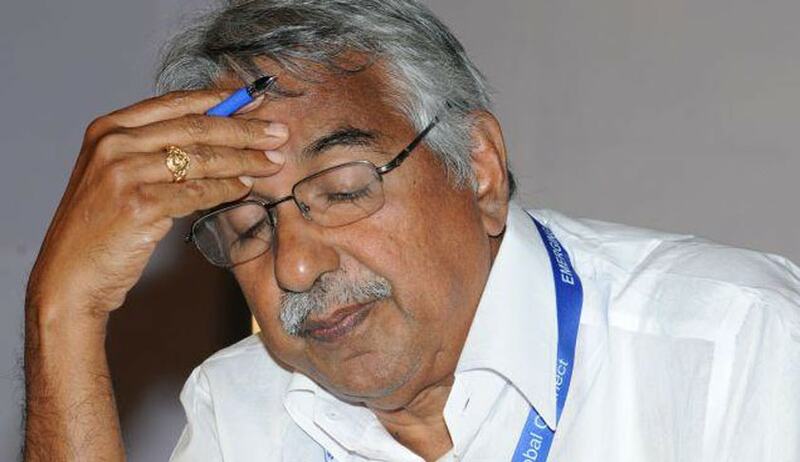 In yet another blow to UDF Government in Kerala, Vigilance Court has asked the Vigilance and Anti Corruption Bureau to investigate the complaint against the Kerala Chief Minister Oommen Chandy and Power minister Aryadan Mohammed. 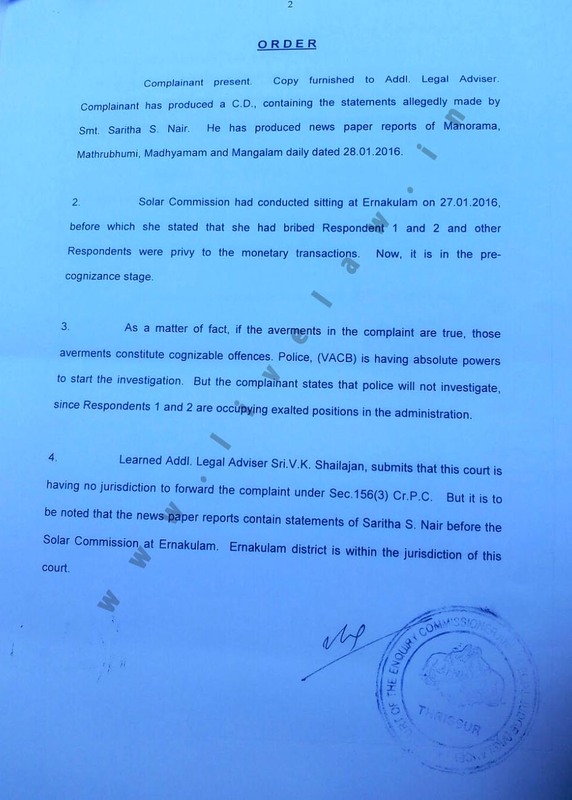 The complainant in this case had produced a CD and newspaper reports to bring to the notice of the Court the statements made by Saritha S Nair to the effect that she have bribed the Chief Minister and the Minister. 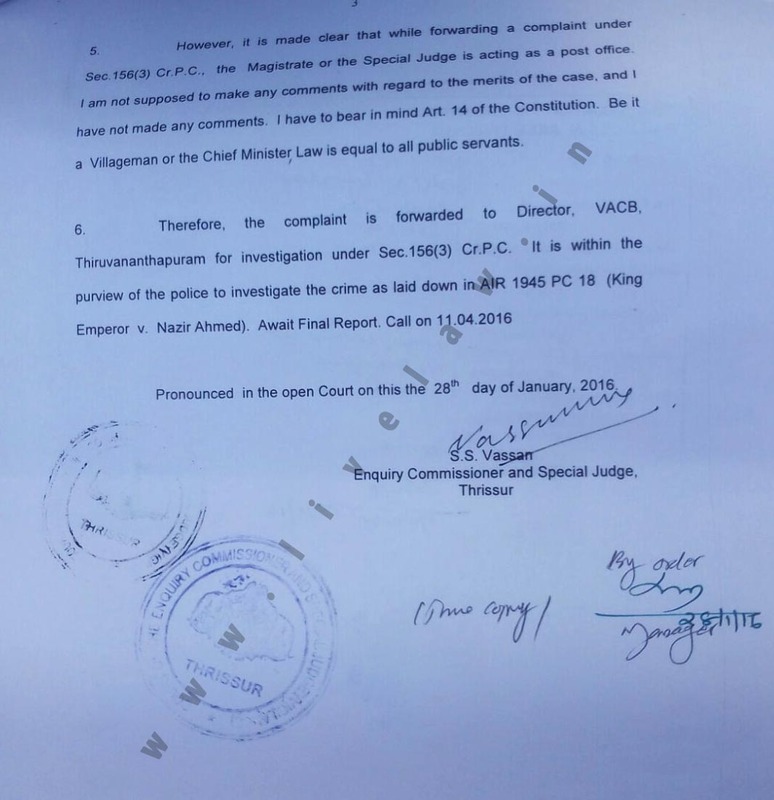 The Complainant also stated that the Police will not investigate the case because of the fact that the respondents are heading the executive. Regarding the issue of Jurisdiction of the Court, the Judge said that it has jurisdiction since the statement was made before the solar commission at Ernakulam which is under its jurisdiction. The Vigilance Court had also ordered investigation against the former Excise Minister in the Bar Scam case. Live Law had reported the High Court proceedings in the application of Stay against that order. Though the Division Bench had refused to interfere, today the High Court has stayed the proceedings in Criminal Original Petition preferred by K. Babu.